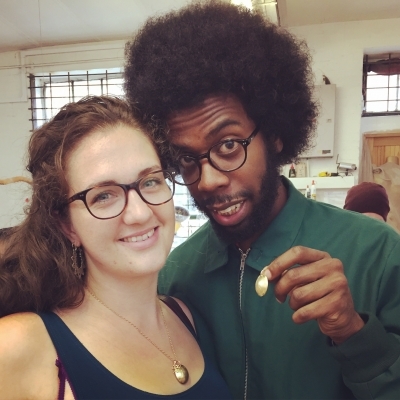 For the second year running we decided to dedicate our Summer Open Studios to our jewellery students, giving them an opportunity to learn new skills, show the public what they do, to talk about their work, and to get making over a weekend of free studio time. 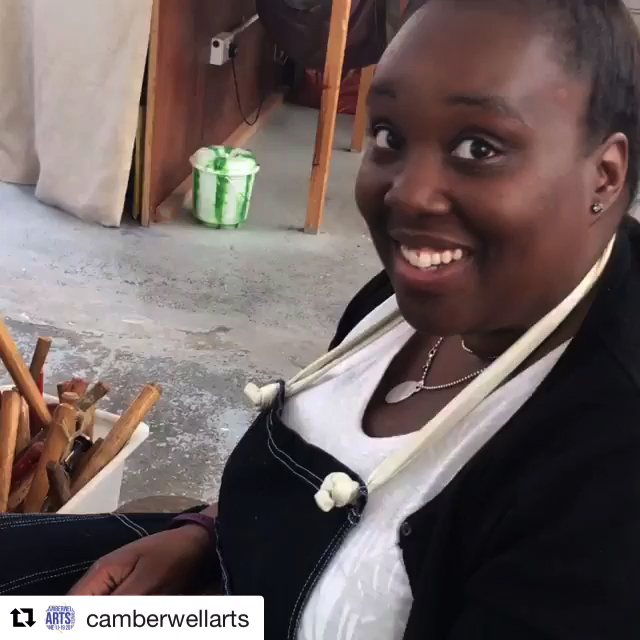 They really got into the creative flow; what a fantastic week it turned out to be for Camberwell Arts Festival 2016! 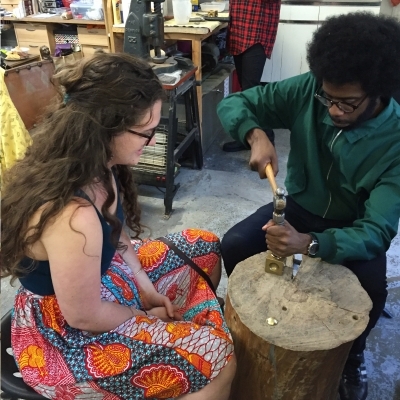 On Friday evening we invited the public to come and enjoy an opportunity to bash some metal…. 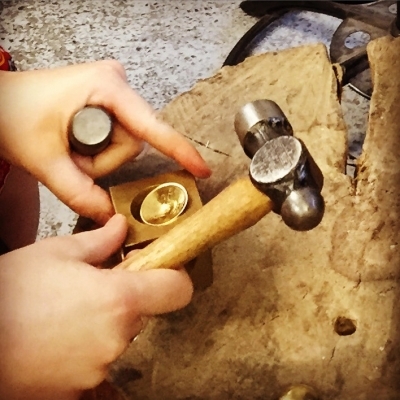 arriving with their own special coins, our Flux Jewellery Students guided them to shape and drill the coins to make wearable treasures. We had some camera shy visitors, but these lovely people were delighted to share their joy at getting physical in the studio! 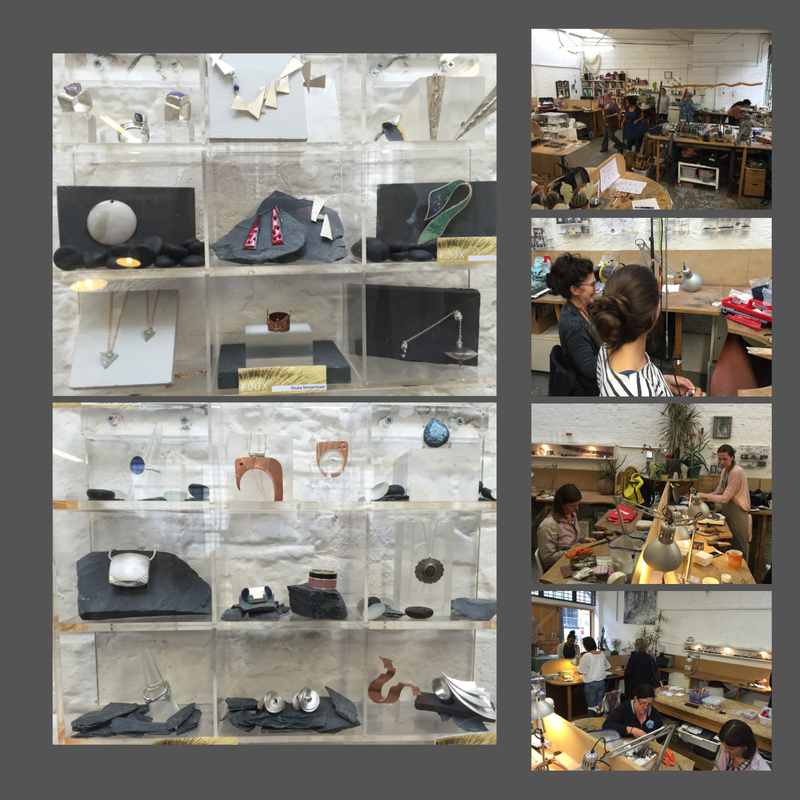 Over the weekend we invited all our students for the last year to come and enjoy some making time in the studio. We were busy! I like to see the bench preferences for our makers. While we have a few who manage a real sense of order on their bench, mainly I’d call it organised chaos. A great sign of the creative mind, my Grandmother used to say! 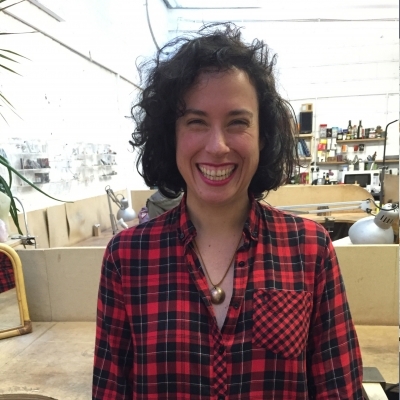 If you want to keep in touch with us we have a regularly updated instagram account, we love to keep up with your developments and we regularly post photos of what goes on here in the studio too. Follow us, and we’ll follow you back. We also have a facebook account, of course, where we post articles and stories of interest to jewellery fanatics. Find us here, and ‘like’ us to join in the conversation. 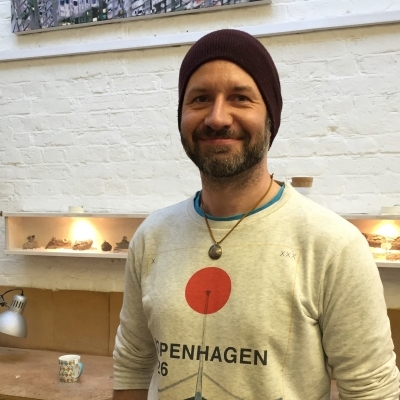 Tagged camberwell arts festival 2016, Classes, Courses, Exhibitions, Flux Studios, inspiration. Bookmark the permalink.